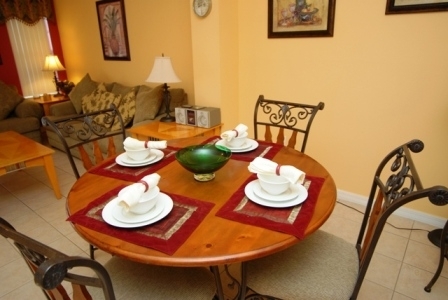 Our vacation rental villa is fully furnished with comfortable furniture for the enjoyment of all of our guests. Below you will see a complete deion of all the furnishings of our Disney area villa that will make your stay a memorable one. Unlimited long distance throughout the United States and several international destinations. 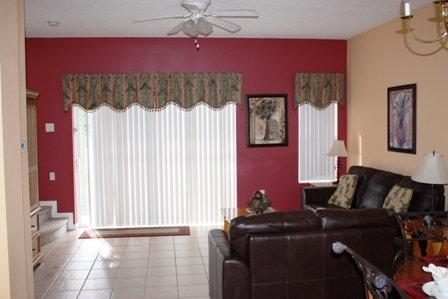 Living Room: The spacious living room has Queen sleeper sofa with love seat, TV with cable and DVD. Kitchen/Dining: There is a lovely formal dining area in the fully equipped open plan kitchen that can accommodate six guests. 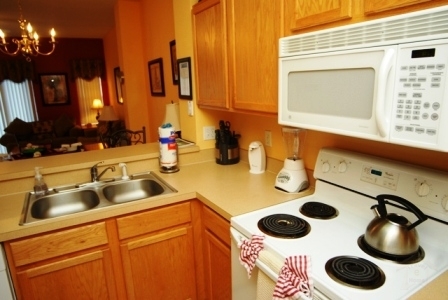 Appliances included but not limited to full size stove with oven, dishwasher, microwave, refrigerator with freezer and ice maker, toaster, coffee maker, garbage disposal unit, dishes, utensils, pots & pans, cookware and much more. 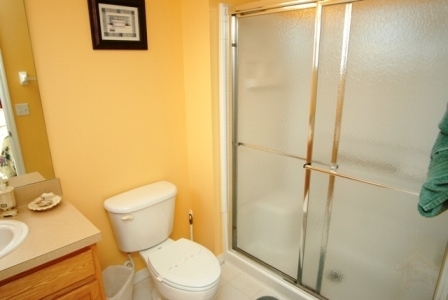 There is a fully enclosed washing machine and dryer in this area. Iron /Ironing Board, Laundry Basket also provided. Bedroom 2: Queen bed, TV with cable and DVD Player. Bedroom 3: Two Twin beds, TV with cable. Living Room: Queen Sleeper Sofa. Bedroom 2 and 3 share a bath; there is a half bath down stairs. 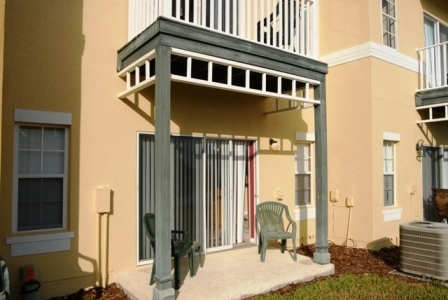 Deck and Patio Area: Our townhouse has a small patio off the Living Room and a small deck off the Master Bedroom. 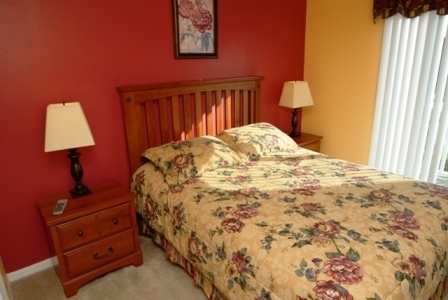 Both the patio and the deck are furnished with 2 chairs and they overlook our beautiful pond and conservation area. A charcoal grill is also provided on the deck. 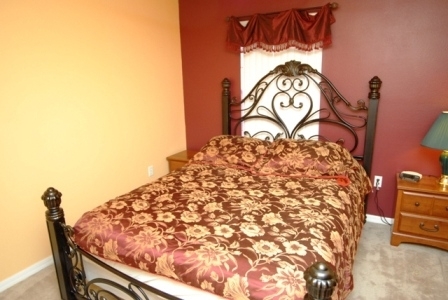 - All bedrooms and living room have TVs. 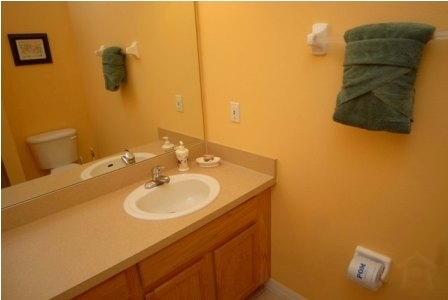 - All bed linen, bath and hand towels are provided. 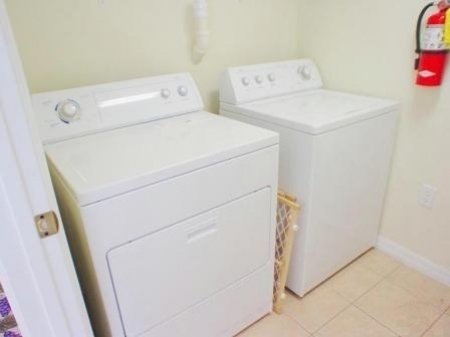 - Utility room with washing machine and tumble dryer, iron and ironing board. 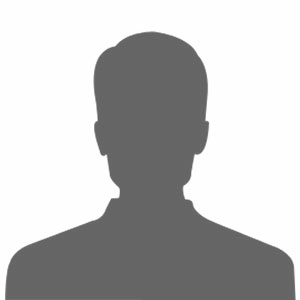 - Unlimited long distance throughout the United States. - Free High Speed Wireless Internet Access. - Free baby equipment for your usage during stay: High chair, portable Crib, and Stair-gates. With its impressive entrance and manned gatehouse, you enter to find a delightful sub tropical landscape surrounding the Emerald Island resort. The clubhouse offers an array of complimentary amenities available to all guests staying at our Town House. You can stay in shape in the state-of-the-art fitness room; Go for a walk in Community nature walk areas; Have a barbecue; Stay in touch using the Community IT Center; Meet your clients in vacation rental resort meeting rooms; Enjoy a game of volley ball or unwind in the Community sauna/spa/pools/Tiki bar. Kids will have hours of enjoyment in the Children's playground as well. On those evenings when you don't feel like cooking, you can visit the many near-by restaurants. 7 nights or more, 10% discount on daily rate! 7 nights with Sat-Sat stay, 15% discount on daily rate!! 14 nights or more, 20% discount on daily rate! 21 nights or more, 30% discount on the daily rate! 28 nights or more, 40% discount on the daily rate! 60 nights or more, please ask us for a special! A great place to come \'home\' to after a busy Orlando day. 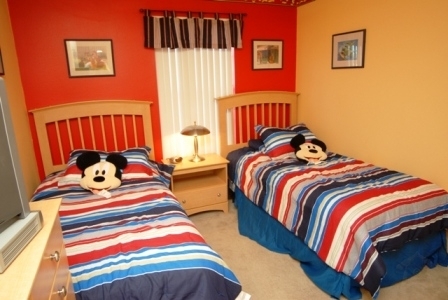 We stayed at Mickey\'s Magic in the middle of May 2010 and we had a great time. 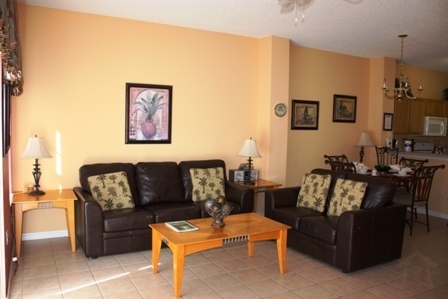 The condo is in great condition and the resort was peaceful. A great place to come \'home\' to after a busy Orlando day. The owner was very responsive to any particular requests we had. Best of all, he had refunded the full deposit by the time we got home. Can\'t wait to return again for another great vacation.